South Chilcotin Mountains Provincial Park is a visually spectacular hiking area with mid elevation grasslands, sub alpine and alpine meadows, alpine lakes and mountain peaks. 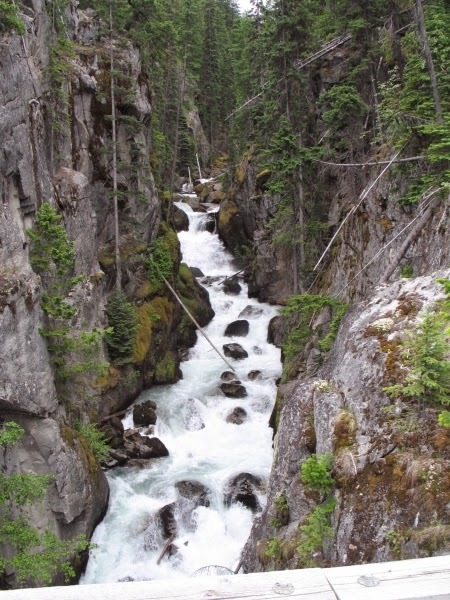 The park encompasses the complete watersheds of Lizard and Leckie Creeks, Gun Creek, Relay Creek, Tyaughton Creek and significant portions of other large intact watersheds and headwaters. There are broad valleys and ridges with interconnecting trail systems. Over 200 km of trails through broad valleys, alpine meadows and ridges offer an excellent variety of loop trips of varying difficulty and distances for hikers, horse riders and mountain bikers. Visitors to this park will have an outstanding wilderness experience. Hikers, horseback riders and mountain bikers use this area. Park visitors should familiarize themselves with proper trail etiquette when there are multiple trail users. Since the hiking area, cycling area, and horse trails are the same place, it is important to remember trail rules. Cyclists yield to all other trail users and hikers yield to horses. In consideration of wildlife; safety hazards related to bears, dogs should not be taken into the park. Please keep to the established trails, especially in the grassland and alpine hiking areas. Bring your own drinking water as potable water is not available in the park. Water is available from the numerous lakes, streams and creeks. Visitors should filter, boil or treat the water prior to consuming. Hiking, mountain biking, horseback riding and viewing spectacular mountain scenery are the main activities here, as well as wildlife viewing, fishing and skiing in winter.